Good morning from Tucson Arena, where the Roadrunners will look to fend off any bite-back in tonight’s second go-around with the San Jose Barracuda, starting another day’s work with an optional pregame skate. A boisterous Friday night has led to a rather quiet Saturday morning. Let’s crunch! Rapid-fire! 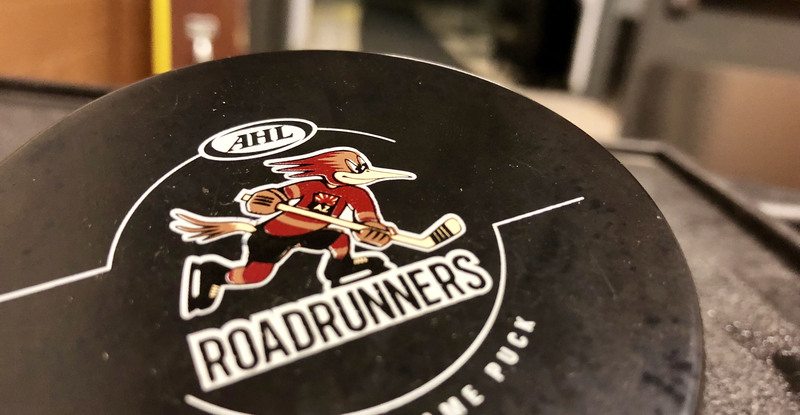 The Roadrunners handed the Barracuda just their second regulation loss of the season last night … Merrick Madsen, with his first AHL shutout in stopping all 19 shots faced, is now 2-0-0 with 1.88 GAA and a .913 SV% … Adam Helewka has torn his former team apart so far this season, scoring three goals in two games played against San Jose … Mario Kempe registered a team-high three points (3A) Friday night and is averaging 1.5 per with nine points (3G, 6A) in six games played … The Roadrunners are now 4-1-0-0 on home ice this season, averaging 4.8 goals per game at Tucson Arena. Looking good! 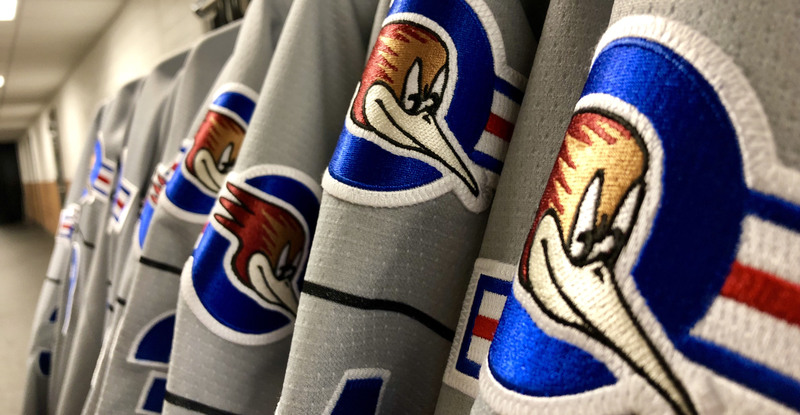 The Roadrunners will don specialty jerseys for tonight’s Military Appreciation Night game, designed after and inspired by the A-10 Thunderbolt Aircraft, which is based locally out of the Davis-Monthan Air Force Base. This will serve as the eighth specialty jersey ever worn by the club; they are 4-4-0-0 all-time when donning exclusively designed alternates. Yeah it was good, it was good to get going on the power play and same thing on the penalty kill, we had been kind of struggling in those areas, and I thought we did a good job in both of those aspects last night. I think as a team we had the puck a lot so they couldn’t really do much, we were playing in their zone a lot, they couldn’t get much going, and Madsen was really solid. He’s been really good so far, I didn’t know much about him coming in, but his performances have spoken for themselves, he’s been really good. Oh for sure, I think they have one of the best records in the league, they’re up there, so we’re expecting them to come out pretty hard tonight. It’s always good when you’re winning games like we are, I think we’re gelling pretty well together.